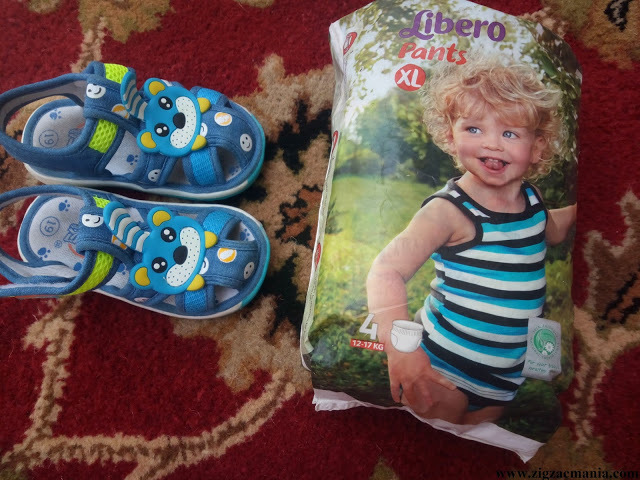 In today’s post, I will be talking about Mamy Poko Kids Night Pants. 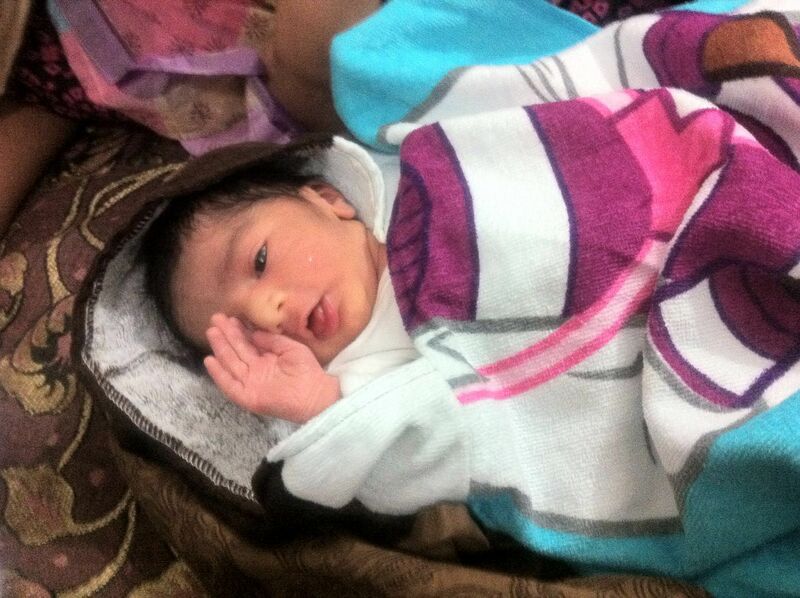 As winters are here, I need to change my cutie’s diaper at least twice in the night. He sleeps around 1 Am in the night & wakes up around 10 Am and changing diaper disturbs his sleep which in turn makes him irritated whole day:(. So I was looking for a diaper which was effective in case of a heavy wetter. 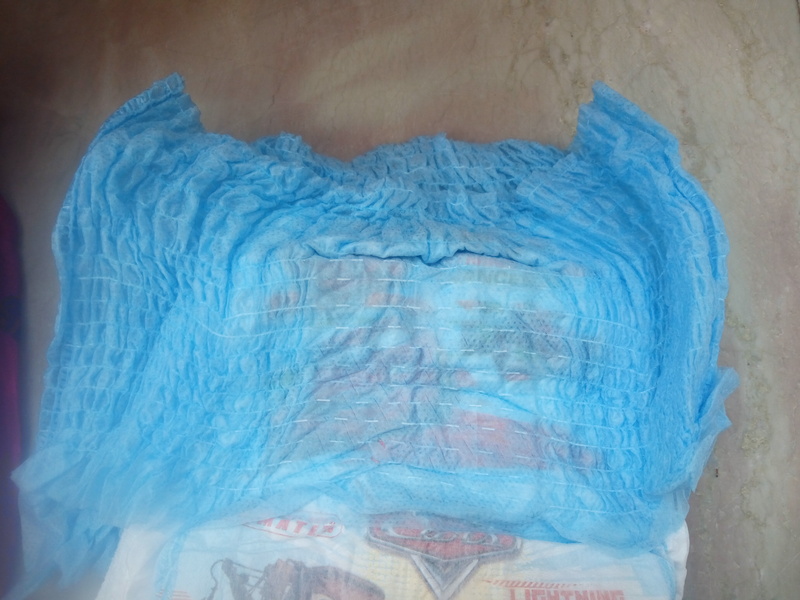 If you read my blogs regularly then you will surely know that only Libero diapers are effective for baby (In night scenario) but unfortunately, these days they are not available in the market. 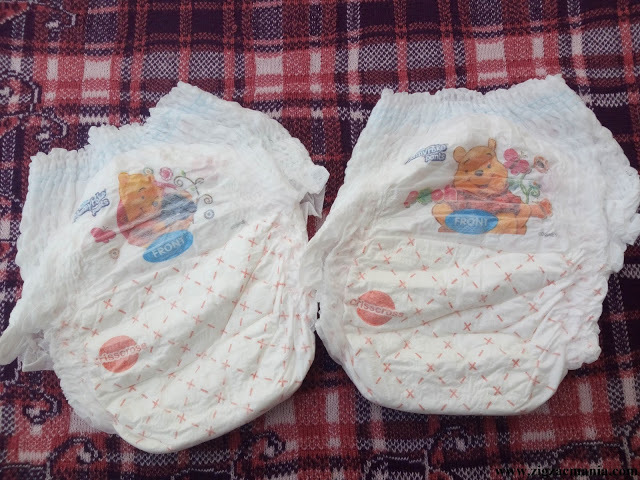 So I ended up with buying Mamy Poko Kids Pants for my baby as brand claims to overnight absorption (i.e 500 ml). Simple to put on by just pulling up like underwear. Simple to take off just tearing apart. 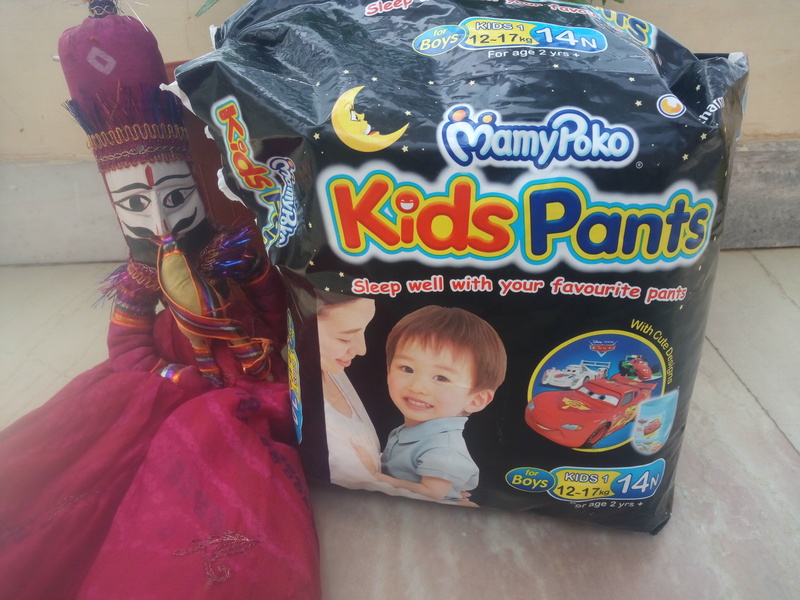 Packaging: Mamy Poko Night Pants comes in a black colored packet which you need to tear off to take out a diaper. 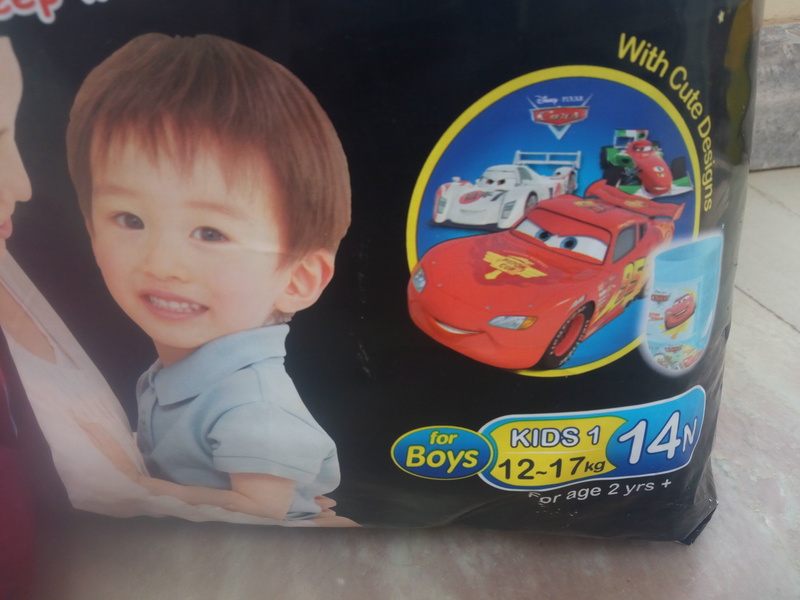 As this variant is designed for boys to cars are printed over the packet as well on the diapers. 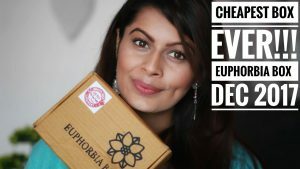 I always say this thing whenever I review a diaper that diaper brands should come up with zip kind of packaging so that it can become easy to manage & store diapers. 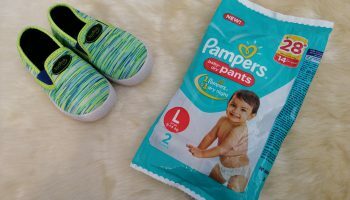 The packaging of these pants is catchy and instantly grab your attention if you are standing in diapers section 😉 . 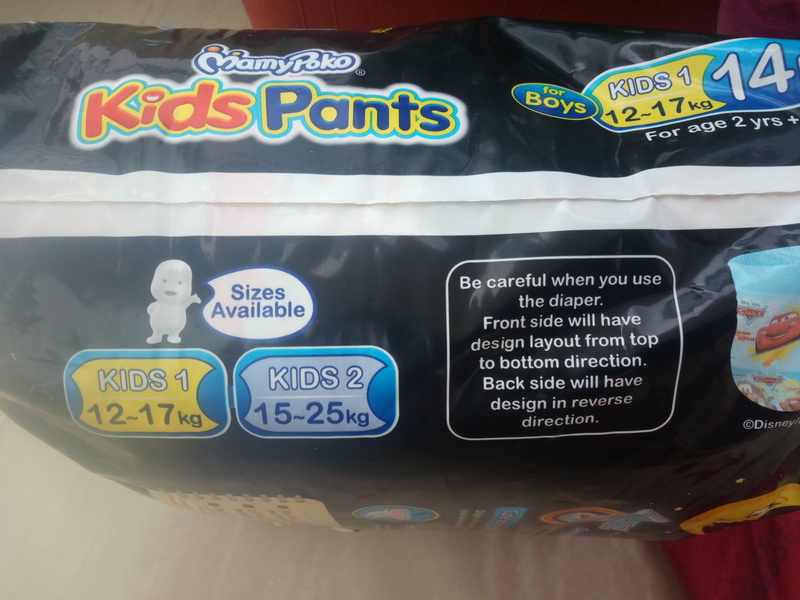 My opinion about the product: I have seen the advertisement of these night pants which claims to be designed keeping different requirements for boys & girls (kids). The logic they gave seems interesting but I am not sure about the whole idea. 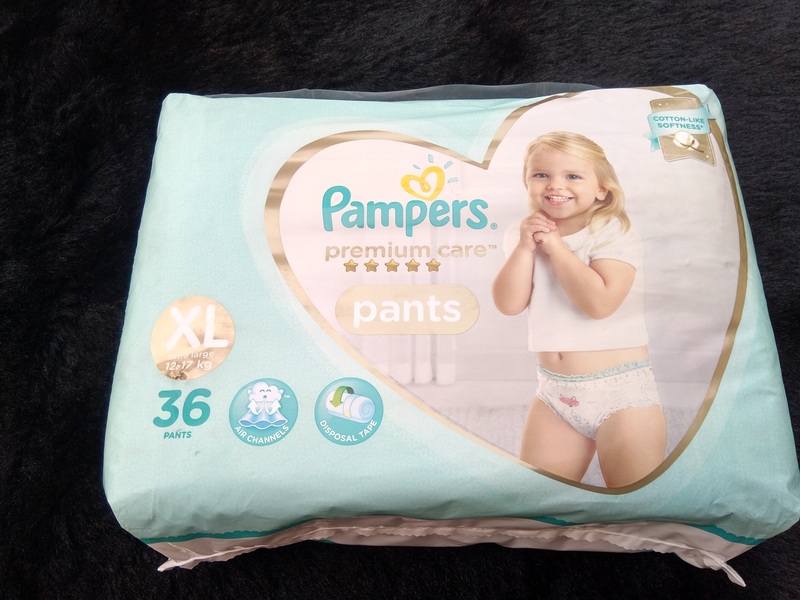 Now to be honest I bought have not bought these pants as my baby in only 18 months old & these pants are for 2+ kids but this leakage problem forced me as well as my baby falls in the weight category mentioned on the pack. 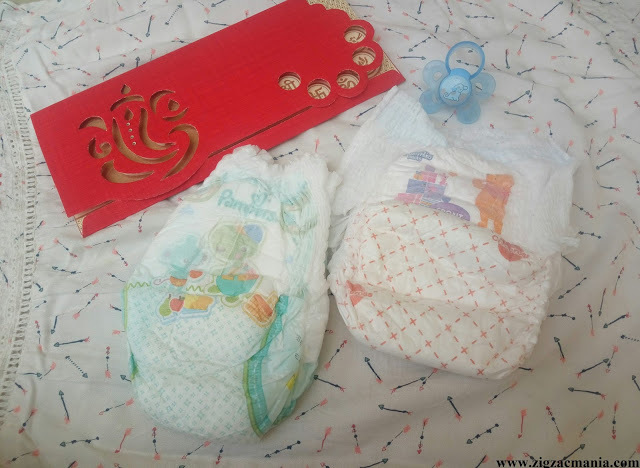 These diapers are of extremely high quality & look pretty boyish. 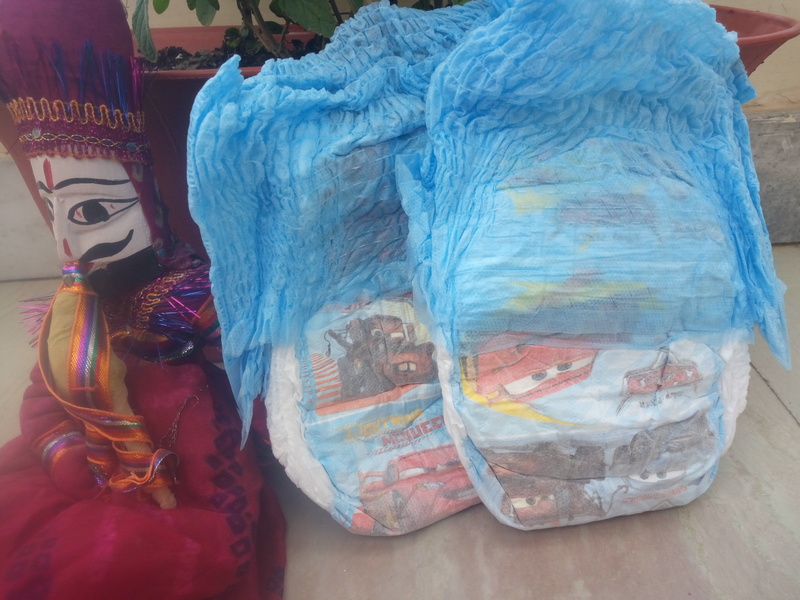 The design is super awesome, comes with beautiful cars printed on the front as well at the back of each diaper. Aarav looks so cute when he runs here & there with these diapers. They are obviously pull up style just like knickers would be. 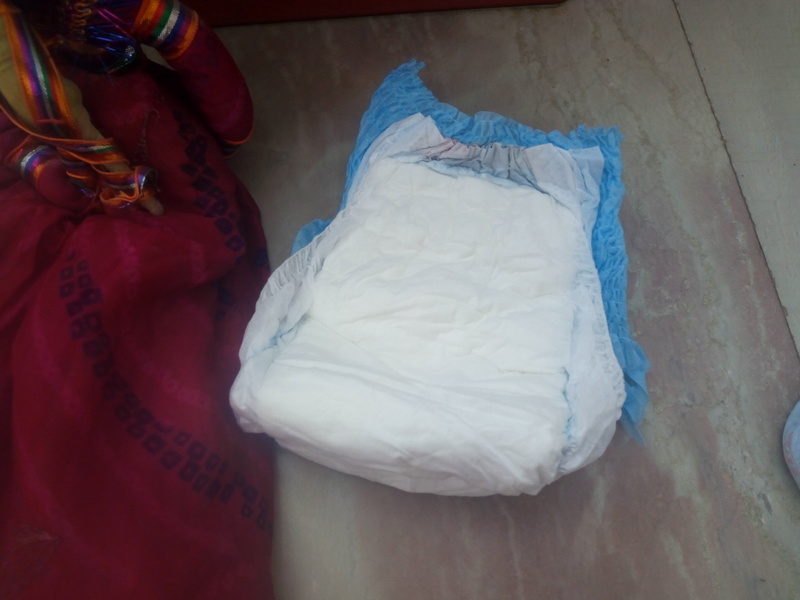 The diaper is white in color and has a stretchy & rubber soft waist. It fits the most snugly around my baby’s waist & thighs so there is no chance of leakage. As I said my baby sleeps around 1 Am & I make him wear this diaper at 12. I am using these pants from last 5 days & haven’t noticed any leakage. 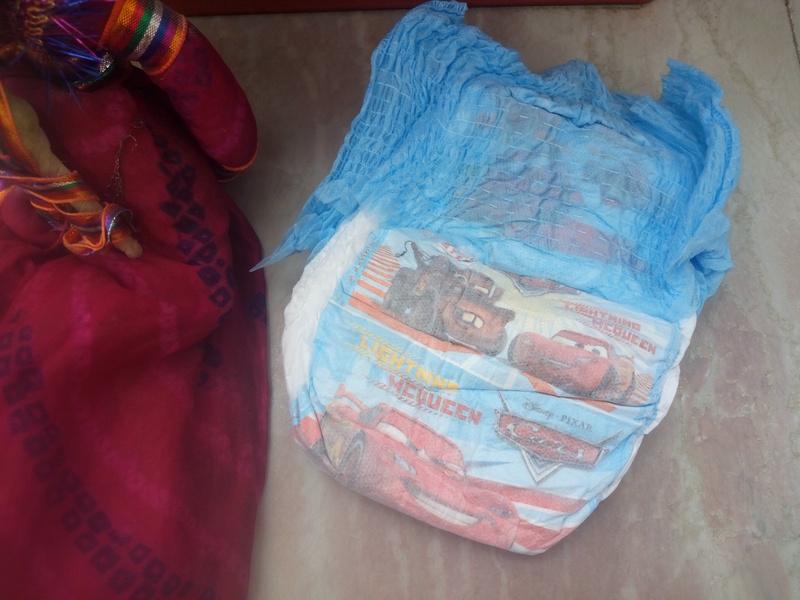 No doubt these diapers are bit expensive but believe me when you see your kid sleeping peacefully,any amount is not big. 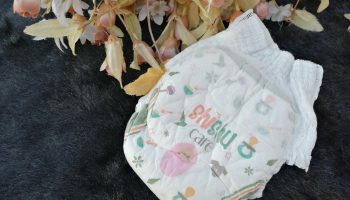 These diapers do complete justice to the price they charge. So If your kid is a heavy wetter then do give a try to these night pants. 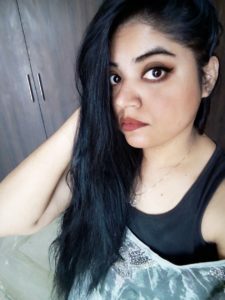 nice and very help full?